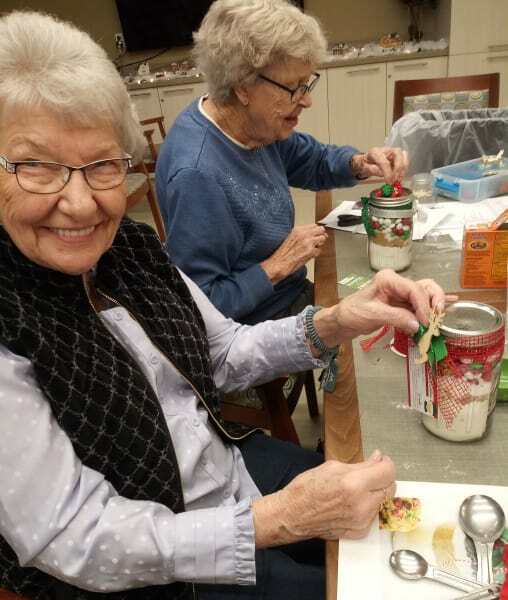 Merrill Gardens at Burien (WA) residents crafted a festive holiday cookie recipe with all dry ingredients in a mason jar. 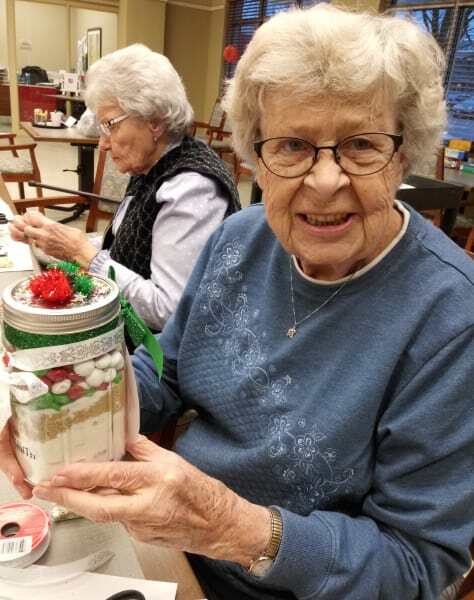 We love this idea - it makes a great gift for a friend or a fun baking activity with grandchildren! 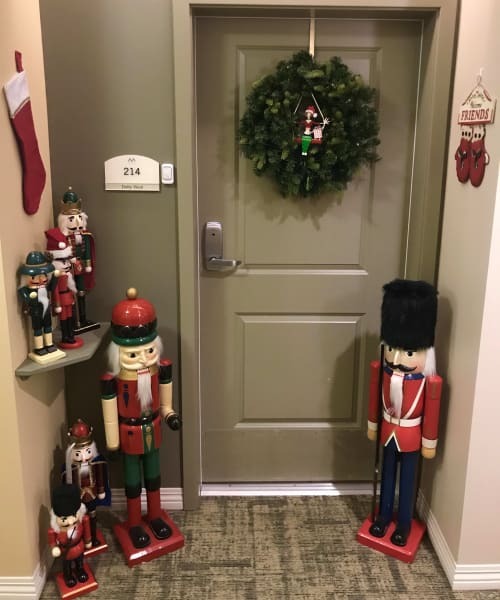 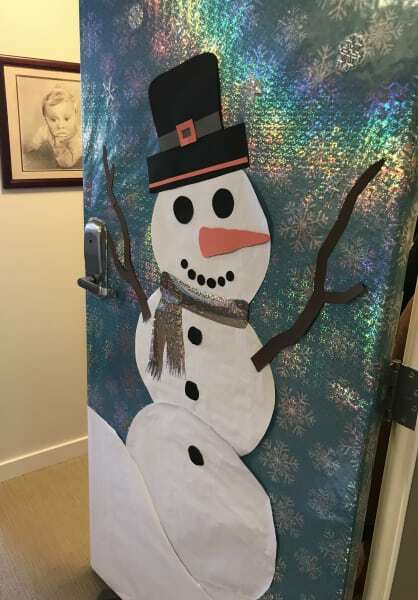 The Burien residents also decked the halls with decorations adorning their apartment doors! 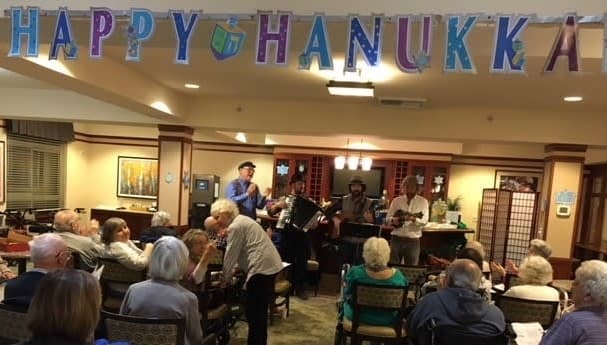 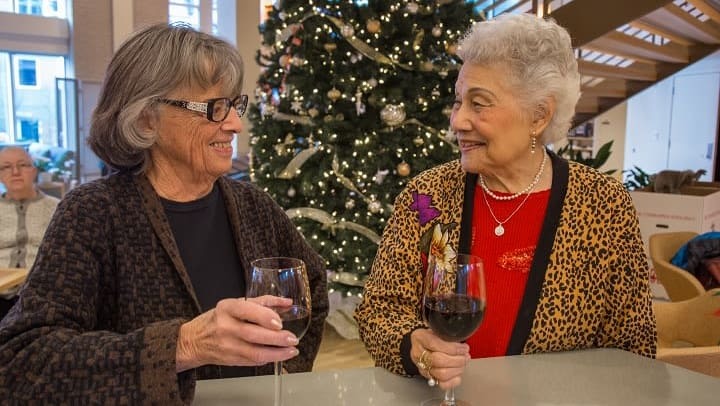 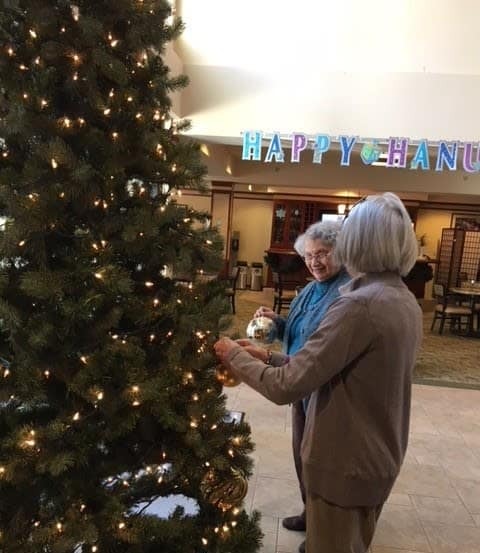 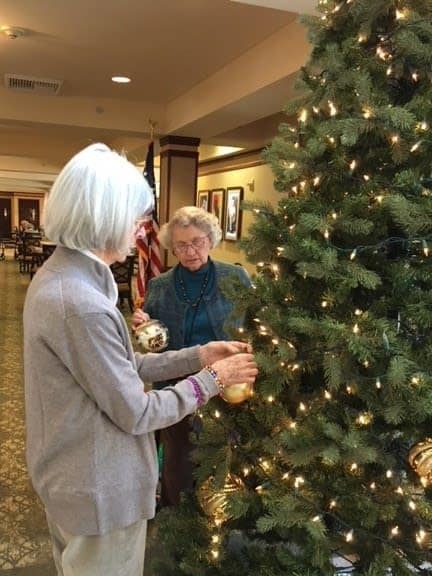 Residents at The University in Seattle, WA had a wonderful time decorating their community Christmas tree and celebrating Hanukah together this month. 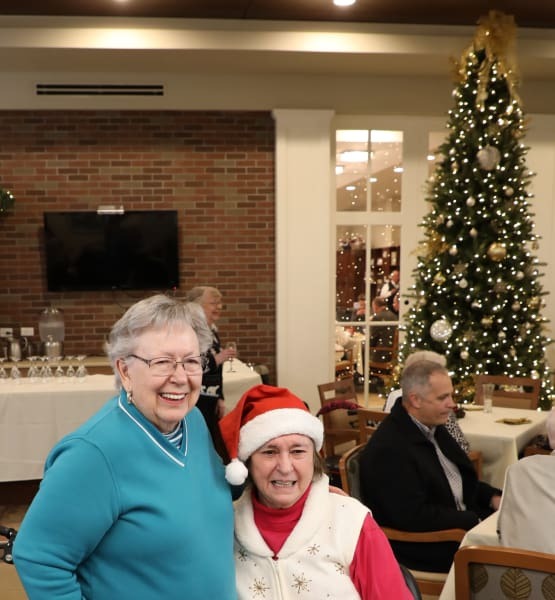 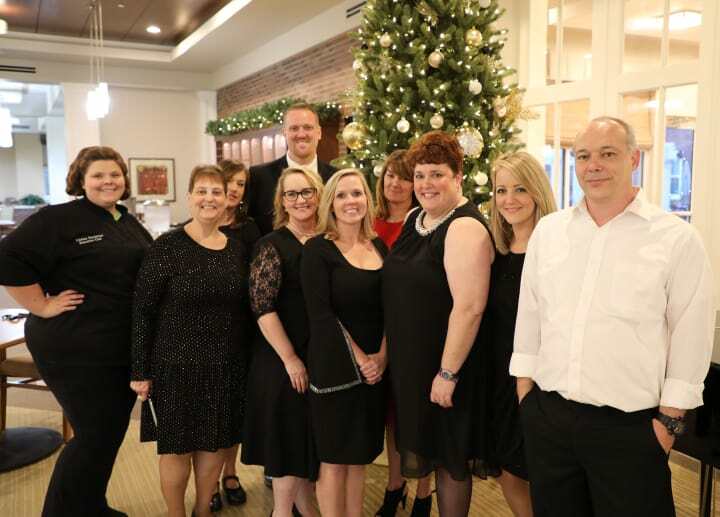 Merrill Gardens at Madison in Madison, AL hosted a Holiday Open House and invited all residents, families, friends and guests. 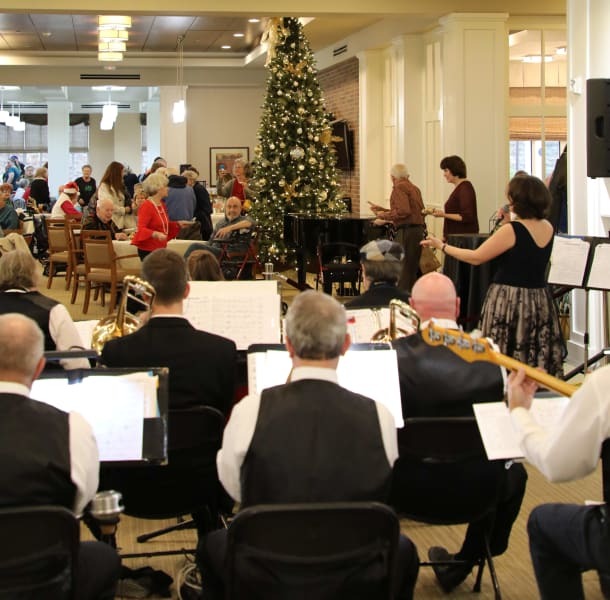 With live jazz music throughout the night, it was a wonderful evening of celebration! 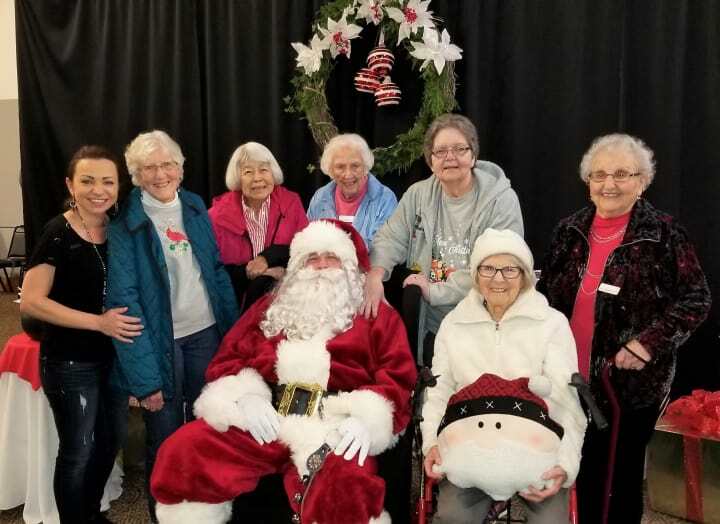 The residents at Merrill Gardens at Renton Centre in Renton, WA had a great time helping children craft Santa photo frames at the city's holiday festival event. 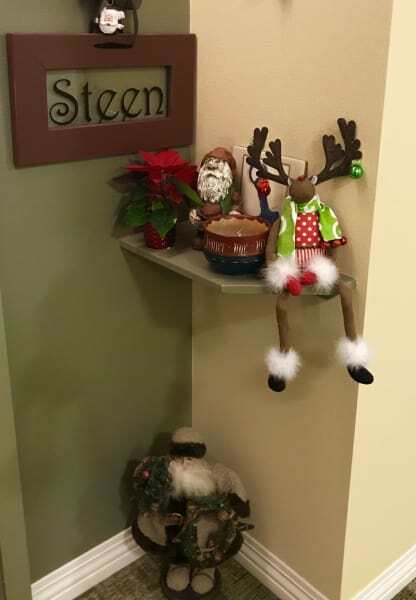 Here is their Santa photo!